Doctor Who Season 7 Preview! 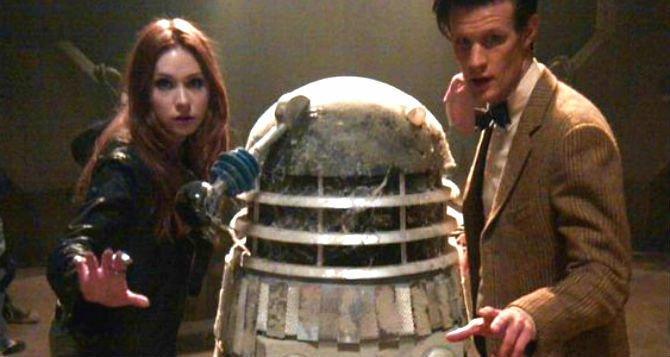 Daleks, Daleks, and more Daleks describe Doctor Who's Season 7 premiere. Show runner Stephen Moffat has teased that the Daleks will be the worst we've ever seen and include "every Dalek known to man." According to Doctor Who's Official website, the season premiere is titled, 'Asylum of the Daleks' and will "feature every kind of Dalek ever faced by the Time Lord—including the legendary Special Weapons Dalek." Of course the title "Asylum…" is curious. Are these Daleks refugees? Will the Doctor be protecting his longtime foes? We will have to wait for the season premiere to find out, which will reportedly debut on August 25th in the UK. As 'Doctor Who' simultaneously aired in both the UK and the US last year, it's likely that season 7 will premiere on the same date for US viewers. Check out the Season 7 preview. This season will be quite a ride. Can't wait! • Episode 3 – 'The Gunslinger': This episode will have an American western theme and is heavily featured in the Doctor Who Season 7 trailer. Principal filming took place in Spain. Check out the filming pics here. • Episode 4 – 'Cubed': In this episode the Doctor investigates nefarious black cubes that make people ill. The mysterious cubes can be seen scattered on cars on Rory and Amy's block. • Christmas Special: As is tradition, this episode will harken the appearance of Doctor Who's new companion, Jenna-Louise Coleman. 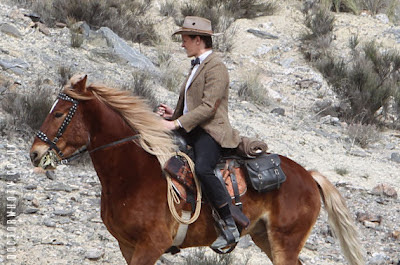 Supposedly, the new companion is very different and shocking. Ah ok, we'll see, how shocking she is. I hope they have the Daleks form there first apperence! I love the old episodes of Dr. Who!! I find the present doctor a little tedious and Rory...yawn, what a drip. I have watched it since it began back in 1963 apart from the git doctor years-thats peter I can't act for toffee davidson to you. Sorry I am underimpressed with Matt. Bersecules-- Yep, supposedly all the daleks we've ever seen! Paul-- I understand. I like Matt b/c he's dynamic, but I can understand why others wouldn't like him. I agree Rory is kind of irritating, so is Amy.